Subtitle: Hitler had a major role to play within the global Dialectic Struggle, and the Demonic Overlords of the Illuminati ensured that he played it perfectly. During the entire war, Hitler provided the Illuminati what they desired, he fulfilled Bible prophecy which ensured Israel would be reborn - but he never ever actually physically threatened America. In Parts 1 and 2 of this series, we demonstrated that pastors should have known from both Bible prophecy and specific occult knowledge that all of the wars in the 20th Century were planned and that at no time was America ever really threatened with destruction. Our occult leaders knew that Satan had "chosen" America back in the time of Sir Francis Bacon and Queen Elizabeth I (1590-1600), while Christians trusted that Almighty God was protecting us because of the "elect remnant" of believers in this country. America was truly "double protected", even though our propaganda machine was not going to allow any of its citizens to know that. All throughout World War II, Americans were kept in fear that their West Coast was threatened by Japanese armed forces, and that German planes and agents threatened the East Coast. As we stated, especially in Part 2, this threat was never really present. Because the Illuminati knew exactly the kind of spiritual protection Satan had placed upon this country all the way through to the appearance of Antichrist, they boldly raised up Adolf Hitler, financed the rise of his military/industrial machine so he could start World War II, and then continued to finance him all the way through the war, keeping Switzerland neutral so their banks could launder the money from the West to the Nazis. At this point, you might protest, "How could American industrialists and bankers act so treasonously against the very country of their birth"? To understand, you need only to look again at the back of your One Dollar Bill, to the two Illuminist Great Seals. Remember the understanding we gave in Part 2, that since these Seals are not on any official U.S. Government letterhead, they are really not Seals of this country, but Seals of the Illuminati. Notice that the New World Order to which this Seal commits each member of the Illuminati is a global system, to be ruled by a global dictator, "The New Age Masonic Christ"! This is the system and its Man to whom each Illuminist pledges his or her loyalty, not to the country of their birth and/or citizenship! Therefore, each American Illuminist extends their loyalty to this international system, and to its coming spiritual superman, not to the United States of America. With this in mind, let us begin our study of the Illuminist financing of Adolf Hitler from the mid-1920's through 1945, when the war concluded. SENATOR BYRD COMPARES BUSH MEDIA TO HITLER'S MEDIA! Our trail of evidence begins with a recent article about the role in this Hitler financing scheme played by President George W. Bush's grandfather, Prescott Bush and even great-grandfather-in-law, George Walker. Let us start with this recent news story. "US Senator Robert Byrd, on the floor of Congress, on October 17, has explicitly compared the Bush media operation to that run by Herman Goering, mastermind of the Nazi putsch against the German people. On the same day, the Associated Press ran a national story linking Prescott Bush to Adolf Hitler. The lead read: 'President Bush's grandfather was a director of a bank seized by the federal government because of its ties to a German industrialist who helped bankroll Adolf Hitler's rise to power, government documents show'." "That night, CNN ran a 'streamer' on the bottom of its all-news programming confirming that 'declassified documents show Prescott Bush connections to Nazi finance'. Stories reminding the public that the grandfather of George W. Bush and his United Trust Bank were cited by the US government in 1942 for helping Hitler under the Trading With the Enemies Act, have now spread widely through the major media." "That the cautious, thoughtful Byrd has conjured explicit comparisons between the infamous mass murderer Hermann Goering and the administration of George W. Bush is a stunning commentary on how far to the right the Republicans have really gone. Goering was convicted of crimes against humanity at the Nuremberg Nazi war crimes tribunal after World War II. He killed himself just before he was to be executed. That the mainstream media has again found newsworthy the long-established connections between the Bush family and the Nazi Party is also instructive." We shall see in a few moments that these news stories are absolutely correct! Prescott Bush was, indeed, the director of the "United Trust Bank" whose assets were partially seized by the U.S. Government because the bank was heavily bankrolling the Nazi war machine! However, this news is really old news for those people who have studied real history! Why, then, is this story just now beginning to rise to the surface, and why is it being brought to the forefront by Democrat politicians who are labeled to be George Bush's enemies? 1. To permanently discredit his utilization of National Sovereignty authority in his invasion of Iraq. As we discussed in NEWS1854, Bush ordered the Iraqi invasion in full conflict with the "collective will" of the United Nations. Had the Iraqi invasion been overwhelmingly successful, President Bush would have so strongly reestablished the old principle that National Sovereignty was more to be trusted than any global "collective will" that the cause of the United Nations as being the only hope for world "Peace and Safety" might be permanently destroyed. Since the Illuminati had fought two global wars, one global "Rumors of Wars" (Cold War), the Vietnam War, and Gulf War I expressly to build up the authority of the U.N., we could not conceive that Skull & Bones Bush might be out to deliberately sabotage this 100-year effort. However, if his invasion of Iraq were to turn disastrously, National Sovereignty might be destroyed, and the global "collective will" built higher and stronger than anyone could have ever imagined. If this is the plan, then maybe now is the time to start destroying Bush's reputation amongst American voters. As we noted in NEWS1854, the "conflict" between President Bush and the United Nations over whether Iraq needed to be invaded contains all the marks of a staged, Dialectic Struggle conflict, the ultimate goal of which seems to discredit Bush's exercise of National Sovereignty. If this is true, then maybe this new attack is designed along the same line. 2. To foster a resurgence of support amongst "Conservative" and Christian voters for President Bush. One man reportedly rose during a Wednesday night prayer meeting to intone that "God protect Bush from Liberal Democrats"! Thus, any attack upon President Bush by one of those "nasty" Democrats is sure to stimulate support from his core constituency! 3. To begin the process of discrediting the "Far Right" generally and "Fundamental Christians" specifically. In NEWS1596, posted in late December, 2001, we noted that the "Religious Right" seemed more than eager to anoint President Bush as its de facto leader. At that time, we noted the strong comparisons to the State Church of which Adolf Hitler was the head. Then, in NEWS1770d, we reported that the truth, that Hitler had claimed to be a Born Again Christian, with a personal testimony that was stronger than that of President Bush, and had even split the 1934 global Baptist Convention with his claims! If President Bush is discredited, then "his" Fundamentalist Christian followers would also be discredited. If the propagandist paints the brush widely enough, this event might set the stage for persecution in this country. Now, let us examine some more information concerning the financing of Hitler by Prescott Bush and his Illuminist friends, a lot of them in very high places. The history of this terrible story IS very accessible. Just go to Google Search Engine and type in "Trading With The Enemy"; then, when the Google page pops up, click "Advanced Search" at the very top of the page. In the top line, type in "Bush". When I did this, I got 3,410 entries, enough historical research to keep you busy for a while! Let us turn to another source of information about Prescott Bush and the Illuminist financing of Hitler from the mid-1920's to 1945. "In October 1942, ten months after entering World War II, America was preparing its first assault against Nazi military forces. Prescott Bush was managing partner of Brown Brothers Harriman. His 18-year-old son George, the future U.S. President, had just begun training to become a naval pilot. On Oct. 20, 1942, the U.S. government ordered the seizure of Nazi German banking operations in New York City which were being conducted by Prescott Bush. Under the Trading with the Enemy Act, the government took over the Union Banking Corporation, in which Bush was a director. The U.S. Alien Property Custodian seized Union Banking Corp.'s stock shares, all of which were owned by Prescott Bush, E. Roland 'Bunny' Harriman, three Nazi executives, and two other associates of Bush ..."
Did you get that last sentence? "In this action, the government announced that it was seizing only the Nazi interests, leaving the Nazis' U.S. partners to carry on the business." This last sentence tells you all you need to know about the Federal Government's seizure of these front-businesses and financial houses; since they allowed the U.S. partners to continue working to keep the monies flowing, they were acting for Mass Media publicity purposes only! This shocking fact literally means that the Roosevelt Administration was really not interested in preventing the funds from reaching the Hitler war machine, a fact we shall return to shortly. Now, let us examine the enormous extent that these Nazi businesses were integrated with American and other Western interests; when you see these enormous statistics, you will realize that Hitler could not have conducted his war, nor could he have inflicted the damage, death, and destruction which his forces delivered, nor could he have killed 18,000,000 "devalued people", were it not for the "partnership" between Western Illuminist financiers and Nazi German industry. Thus, just these two Nazi German companies accounted for a huge amount of Germany's war output! How many American soldiers died because of the war materiel produced by these raw materials? Can you believe that Prescott Bush funneled such a huge river of money and other assets to produce this kind of proportion of the total German war effort? Unbelievable, but true. Hitler could not have built his industry and military up to the point where he could start a European regional war on September 1, 1939, were it not for huge amounts of money flowing into Nazi accounts. Think for a few moments how quickly Germany sprang from the utter depths of depression in the decade of the 1920's to being capable of mounting all-out war on Europe, Great Britain, and later, Russia, by September 1, 1939. Germany literally sprang from Third World Country status in 1926 to a superpower only 13 years later! This economic feat would have been impossible had it not been for the huge infusion of cash and gold coming from American sources! And, as we saw above, the Roosevelt Administration came against this consortium in only a token manner, so they were also complicit in the scheme! Now, let us return to the issue of Prescott Bush, Harriman, and other Illuminist financiers funneling money to Hitler. One other German company which received funding from these Western financiers was I.G. Farben. Let us go back to Tarpley for this vital piece of information. I.G. Farben was the primary producer of the poison gas and other critical war chemicals that proved so vital to Hitler's war machine. Let us see just how important this company was to Germany's war effort. Of course, the most important issue on Hitler's mind was the annihilation of the Jews. Therefore, the manner in which they might be slaughtered was of paramount importance to him. Since I.G. Farben was the primary chemical producer in the entire world, Hitler turned to them for the perfect poison gas by which to annihilate all European Jews. And, this chemical giant was up to the task. "Auschwitz was to become a major source of slave labor serving an enormous I.G. Farben enterprise for the manufacture of synthetic oil and rubber." [Ibid., p. 156] Thus, the Nazis brutally worked the Jewish condemned prisoners to death to serve the war interests of Farben and then shipped them to the gas chambers to be put to death by Farben poison gas once they were too starved and too weak to work! This entire killing endeavor was of great secret value to many Western companies, which is why Western aircraft never bombed these killing centers nor the railways leading to them from all directions across Europe. Our airpower alone could have stopped the slaughter of Jews and other "devalued" people in its tracks. This quiet complicity is one of the unreported horrors of World War II, as fellow Illuminists on both sides of the Atlantic silently cooperated in many medical horrific experiments on totally helpless human victims, all for the "benefit" of humanity, don't you know? So, how exactly did the Illuminati build up I.G. Farben? Without huge American Illuminist financial assistance, from 1924-1945, Hitler would never have been able to start World War II, or continue it for seven long, bloody years! In perfect compliance with the Illuminist Dialectic Struggle formula, American Illuminist financiers built Hitler out of chaotic, down-trodden Germany and set him up as absolute dictator of Germany, in pursuit of the same global New World Order as President George H.W. Bush began to enunciate in 1990-1991! [Seminar 2, "America Determines The Flow Of History"]. The issue here is much larger than just the role Prescott Bush played in this financial scheme; the real issue is the monstrous, vital role that American Illuminist financiers played in building Hitler up and maintaining him throughout the war. Additionally, the Roosevelt Administration and the Truman Administration that was in power by the time Nuremberg War Crimes Trials were instituted, ignored the role American financiers were playing. All American financiers should have been brought to trial, but always, only the German side of the international company was prosecuted while the American side was allowed to go free! This fact demonstrates the reality that the American Illuminists in both the government and the financial centers were collaborating in this scheme to put Hitler in power and keep him there until the purposes of World War II were completed. Let us now go to the subject of how these Western banking and industrial financiers helped Hitler to power in the first place. "The Second World War began when Adolf Hitler joined a secret society called the Thule Society in 1919." As I contemplate the fearful reality of Daniel 10, where demonic overlords have been assigned to key earthly rulers, I can only marvel how true it is that Satan is the ruler of this world, just as the Apostle Paul stated. Whenever Satan wanted a man in a particular position at a particular moment in world history, he got that man, unless God specifically intervened. As we have shown in NEWS1056, Masonic leader, Albert Pike, received a demonic vision which he published in 1870, telling him that three world wars were necessary to establish Antichrist; literally, Antichrist would come striding out of the smoke, dust, and devastation of the Third World War, offering "Peace and Safety" to a war-torn people. The Illuminati signaled to the occult world that they had just successfully concluded the first of these three world wars by staging their Armistice to occur "by the occult sacred numbers"; the Armistice was signed at the 11th hour, of the 11th day, of the 11th month. Since the key number for Antichrist is "11" [NEWS1789], the choice of these numbers makes a great deal of sense. Following this Armistice on November 11, 1918, the question immediately became, "when will World War II begin"? Official history books tell us that World War II began on September 1, 1939. However, since events in public are preceded by, and powered by, spiritual forces working on the spiritual plane, when did the occult spirit world consider that World War II began? 1919 + 7 = 1926 -- as Tarpley says, above, 1926 was the year the Illuminati started their money flow in earnest! Hitler was working to "weed out that which is undesirable"! 1926 + 7 = 1933 -- Adolf Hitler had "germinated" and was growing and maturing, "developing influences". In 1933, the greatest occult "Lord" of many centuries arose in Germany, the greatest Black Magick wizard the world has seen since the Roman Caesar's - his name was Adolf Hitler! Also in 1933, the greatest White Magic practitioner in many years arose in the United States - his name was Franklin D. Roosevelt, 33° Mason. Master D.K. highly praises Roosevelt as one of the greatest occult spiritual lights in world history! Thus, the year, 1919, marked the beginning of an interim period leading to the establishment of the Great One. Thus, the year, 1919, was a pivotal year to the Illuminati plan to stage World Wars I and II. Rather than fighting to "end all wars and to make the world safe for democracy", the Treaty of Versailles forced Germany into such deep economic depression that it created an internal stage ripe for an Adolf Hitler to arise. This plan can be clearly seen, not only from Lord Curzon's comment, but from the international bankers attending this meeting. Both Germany and the Allies sent their bankers to this meeting. Therefore, the outcome of extreme economic deprivation can only have been a planned event, since these men possessed the skill to create a post-war German economy that would not have crashed at the same time the Western World was celebrating a huge economic boom. The last understanding to gain is that, even though the demonic Guiding Spirit of Albert Pike foresaw three world wars as necessary to stage Antichrist and even though his description of the first two world wars leaves no doubt but that World Wars I and II were the fulfillment of this vision, Master D.K. states that, in the eyes of the Masters of the Logos (Satan) the period 1914-1945 was considered to be one war, with two phases [Bailey, P. 521]. In Satan's mind, the world war that ultimately produced the United Nations covered a period of 31 years! Pause right here and contemplate these nuggets of truth very carefully. Before World War I ever started, the occult Masonic, Illuminist global leadership had decided that a World War II would be fought! They knew this from the demonic vision of Albert Pike and they knew it from the revelations of the Master Demonic Overlord, D.K, writing through Alice Bailey, House of Theosophy! Remember this premise: key public events occur because they were decreed in the occult spiritual realm, in full compliance with the revelations of Daniel 10. 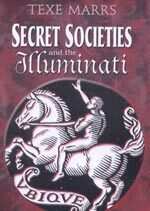 Thus, Illuminati international financiers were of the mindset that their work was not finished with the close of World War I, but would continue until the United Nations was established and Russia was not only Communist, but a world power [Seminar Two, "America Determines The Flow of History"]. These financiers were working hard to establish the second stage war with Hitler, knowing the principles of the Dialectic Struggle required that an enemy be raised up for the Allies to fight against. This is their cherished formula: Controlled Conflict Brings About Controlled Change. If no opponent naturally existed for Thesis to battle, the Illuminati simply creates one! In Albert Pike's demonic vision of three world wars [NEWS1056], the vision clearly stated that the Second World War would begin between Great Britain and Germany. Therefore, immediately after World War I concluded, the Illuminati simply had to obey their spiritual masters in the demonic realm and fight against Germany. But, how do you accomplish two major tasks in very short order? A. How do you raise up the kind of deeply occult leader you need to lead the Antithesis country? B. Then how do you quickly build him up so he can launch war, on schedule? The answer to the first question (Question 'A') is to make the Treaty of Versailles exceedingly harsh, so an economic devastation is created. The demands of reparations flowing from this Treaty were so grave that the German economy was crushed, the individual citizen pulverized. Let us return now to Epperson to see how precisely this first goal was achieved. The standard rule of deliberate devastation of a country is that such internal agony will almost inevitably give rise to a demagogue who will promise to throw off the oppressors and re-establish original national pride! The demonic Guiding Spirits of key Illuminist leaders knew exactly what they were doing, while the demonic forces building up and protecting Hitler were busily taking advantage of the chaotic situation. As we stated above, the German depression raged heatedly and furiously from 1920-1924. At the end of this terrible period, the Illuminati arrived in Berlin to begin to put the banking system in place that could continuously deliver huge sums of monies and other assets to Hitler's enterprise. Just prior to the beginning of World War II, the pipeline by which money flowed from America to Hitler was changed to Swiss banks. They literally laundered huge sums of money for American financiers to Hitler. Let us now get more detail as to how funds were channeled to Hitler. Incredibly, one of the major defenders of Hitler at this point came from another unlikely Jewish source: "The American Jewish Committee and the B'nai B'rith (mother of the 'Anti-Defamation League') continued with this hardline, no-attack-on-Hitler stance all through the 1930s, blunting the fight mounted by many Jews and other anti-fascists." The Warburgs were a good example of Illuminists that stretch beyond all national borders in order to advance the global plan. Max Warburg was German, and we see him present at the awful Treaty of Versailles, where he helped ensure that Germany would be plunged into the deepest, darkest recesses of economic gloom and doom. However, Frederick M. Warburg, was American, a director of the Harriman railroad system. The Warburg family was very influential during this entire 1919-1945 period, ensuring that, while many real Jews were being slaughtered by Hitler's genocide machine, they were living like kings, while making sure the money supply to Hitler continued uninterruptedly. In the early years, Illuminist bankers aided the Nazi economy in a most unusual manner: It was "coordinated" with the American economy! Even during the Great Depression, the American economy was infinitely stronger than the German. John Foster Dulles is an interesting name to pop up, is it not? After World War II, he served in the Administration of President Eisenhower as Secretary of State, and was respected as a "Conservative" power broker. However, he was just as Illuminist as he could be, and after the war, he worked on behalf of maintaining the Communist system! During this delicate period where Hitler had gained dictatorial power, but was struggling to gain the currency he needed to quickly build up his war machine, the Illuminati again stepped in, with debt relief! As we stated earlier, the Nazi economy staged one of the most remarkable turnarounds in world history. Totally broke in 1923, German industrialists were churning out war materiel for the Nazi fighting forces by 1935! By 1939, Germany was a first-rate power, capable of launching all-out war. On September 1, 1939, the Second World War foreseen by Albert Pike was under way! American money, gold, and credits had paved the way! * Ford Motor Company - Henry and Edsel Ford [Sutton, op. cit., p. 163-164]. In 1938, Henry Ford received a Nazi medal, and all throughout the war, American soldiers were being killed by Ford-produced vehicles! You can see that a very wide and deep Illuminist effort came to the support of Adolf Hitler from 1926-1945. Without this continuous support, Hitler could never, ever have started the war, nor maintained it for 7 bloody, bitter years. But, by raising up the very enemy they would knock down, the Western Illuminati successfully prosecuted the Second World War of the Albert Pike vision [NEWS1056]. At the end of this world war, Russia was built up as a superpower so the next phase of the Dialectic Struggle could commence -- the Global Rumors of War explained in NEWS1869]. In 1945, the United Nations was successfully implemented with a headquarters in Manhattan built upon land donated by the Rockefellers. Thus was born the baby government of Antichrist. Israel owed her national rebirth on May 14, 1948, to the newly created United Nations. The United Nations was poised in 1950 to fight her first war, in Korea. Therefore, the 21-year entire effort to raise up the enemy that would start World War II had to have been gauged a success by the Illuminati! What the average person has immense trouble understanding is that these Illuminist figures are operating by a secret plan that has been devised by human beings so totally given over to Satanism that they are thoroughly demon possessed. We have already seen that Alice Bailey, Director of the House of Theosophy, was possessed by a powerful Demonic Overlord by the name of Master D.K. We have already seen that the plan for three world wars to be staged so Antichrist could arise occurred when Masonic leader, Albert Pike, received a demonic vision from his Guiding Spirit [NEWS1056]. Likewise, these Illuminist men in Germany and the United States were secretly bound together through Satanism, through the Brotherhood of Death Societies. We cover this subject thoroughly in NEWS1314, and encourage you to read it now. But, for those of you who do not take the time to read it, here is a synopsis. President Bush is an adept in the American Brotherhood of Death Society, the Yale Skull and Bones Society. As we stated earlier, Bush's New World Order is virtually identical with Hitler's; an immensely important key connecting point is their common membership in their respective Brotherhood of Death Societies (New Age author, Bill Cooper, "Behold A Pale Horse", p. 81; plus Antony Sutton, "Introduction To The Order", p.7). Skull and Bones' symbol is also a skull with two crossed bones, but with the mysterious number, '322' underneath. All members of the American Skull and Bones are just as Satanic as was Adolf Hitler. This premise is one that shocks most people to the core, because neither Former President Bush nor his son, Texas Governor George W. Bush, "look" like Adolf Hitler. Remember Jesus' solemn warning concerning the deception of the End of the Age. "Take heed that no man deceive you." [Matthew 24:4] Jesus repeated this warning against unparalleled deception, "And many false prophets shall rise, and shall deceive many." [Matthew 24:11]. Once more, a third time, Jesus warned, "For there shall arise false Christs, and false prophets, and shall show great signs and wonders; insomuch that, if it were possible, they shall deceive the very elect." [Matthew 24:24] When God repeats something three times in Scripture, He is attaching the most significance to it possible. Here, God is telling us that, at the End of the Age, He is going to allow Satan's people to perpetrate the most successful deception in world history. Are you one of those victims? Prescott Bush, President George H. W. Bush, and our current President, George W., have undergone the same rituals as did Adolf Hitler! Now, you understand how important it was for World War II to be set up and run by people who were Brotherhood of Death on both sides of the Atlantic! The primary reason these Brotherhood of Death Societies are so powerful and influential is that they are backed by Satan's power and they "tap" or choose, the elite of every nation in which a chapter is located. Listen now to Epperson describe the members of the Thule Society. Skull & Bones draws its membership from an equally impressive pool of people within American society. Another, more accurate, and earlier, prophecy concerning the rise of Hitler is even more startling. At this point, you should be able to discern the reality that the demonic host planned for Adolf Hitler to arise to take control of Germany at least in 1899, when the mystic, Soloviev, experienced this vision of Antichrist. Since the Guiding Spirits of Albert Pike foretold three world wars in 1870 as being necessary to produce Antichrist, you have to wonder how far back Satan's foreknowledge really extends! Nevertheless, it should be very obvious now that most major public events are preceded and are powered by the demonic host. Historians who ignore the evidence of the working of the occult shall never, ever comprehend the full scope of the powers and the people behind the event(s) they are studying. As we reported in Part 2, NEWS1869b, Satan chose the North American Continent as his "New Atlantis" nation as far back as 1594. It takes little imagination to believe that he would throw a mantle of protection around America for the full length of time needed for successive leaders of this nation to gradually, stealthily maneuver the peoples and the nations of the world into the Kingdom of Antichrist. Satan would be most interested in protecting his "Chosen Nation" from any attacks mounted by demons less powerful than Satan himself. Our Masonic, Rosicrucian and Skull & Bones leaders have been well aware of this Satanic protection all these years, thus allowing them to create and follow the most audacious, seemingly risky plans imaginable! In fact, the more risky and audacious the plan is, the more likely it is that the average, undiscerning individual will ever believe it, even if he were carefully and accurately told of it. The Illuminati could build Hitler up to super power status, so he could launch World War II right on schedule, knowing that the demonic hedge of protection would prevent Hitler from gaining such an upper hand that he could destroy the very ones who built him up. And, believe me, he would have destroyed America if he had been given even a tiny bit of an opening. For this reason, the demonic visions of Hitler in the beginning of the war were so uncannily correct, but were equally false from mid-1942 onward. The same demonic being making Hitler look so brilliant early led him to his utter defeat and ruin later, during the most crucial moments in World War II military history. Thus, it is not true that the bravery of our fighting men during World War II is responsible for the freedoms we enjoy today. As real as the bravery of our fine men truly is, the reason we have our freedoms is that the Plan to produce Antichrist calls for Americans to retain their freedoms and their prosperity until the beginning of the planned World War III. Remember, I say this because it is true, even though I had an uncle that landed in the second wave at Normandy Beach and my Dad served for 3 years. We need to understand and properly apply truth at this critical moment in world history, even if it upsets very closely held and cherished false assumptions. By reporting this little-known fact, I am not impugning anyone who served in World War II, nor any memory of anyone who perished during this war. God forbid! Today, we are in the midst of another equally deceptive war. The American CIA raised up Saddam Hussein ["Hidden Wars of Desert Storm" Video] and then set him up as the straw man we have now knocked down twice! Our precious soldiers are now fighting a war in Iraq that was not meant to be won. This Iraqi conflict was meant all along to be the trigger war that would ignite the entire Middle East region in all-out war, the beginning area of conflict that shall expand outward to be the Third World War, out of which Antichrist shall come striding. Now that you are freed from your deliberate misconceptions of the past, you can look correctly into the events of this day. Jesus is coming soon!